Stampin Carol: It's Wednesday Again! The mess on my table is my 4th card that I needed. I'm surprised that all the things I have out are not all needed but as I work with my design I never know what I'll end up using! 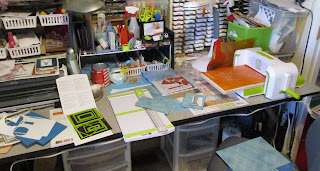 (My Monday Post shows a similar desk but some of my thinking as I work on my 1st card.) 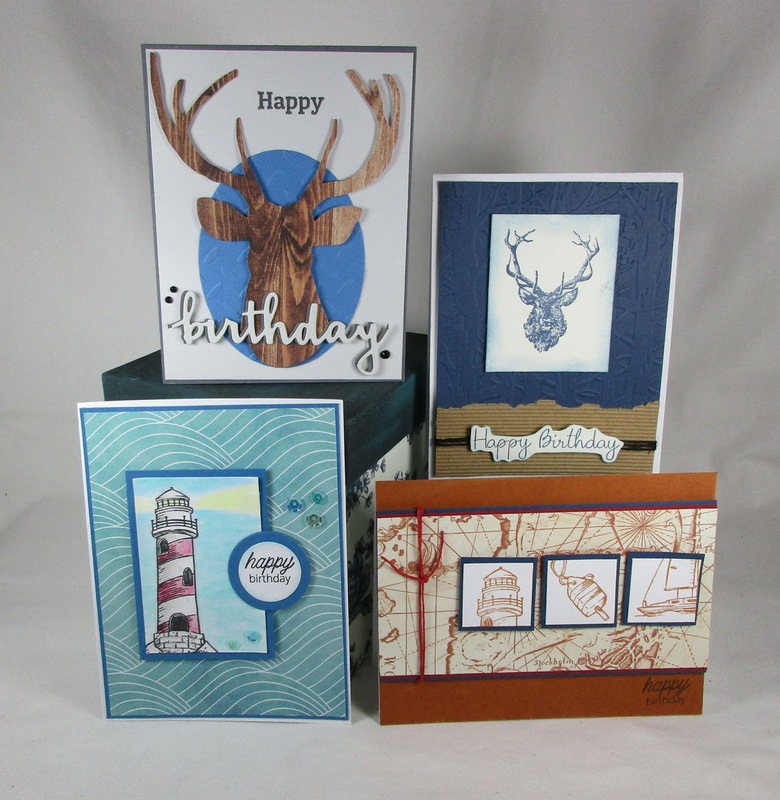 So, from left to right... a pile of card stocks then a magnetic sheet with rectangular dies. Center, my paper trimmer and print paper sitting on another sheet of the print paper. Just to the left of my large Platinum machine is a stamp on an acrylic block on a package of print paper in front of the package of stamps that it's a part of. Then my large Platinum machine far right. There's even more paper on my chair just below my Platinum. I do so much of my creating standing up. My table is raised up on 4" x 4" blocks which really helps my back. Now that I have my 4 cards completed I'll show you the photo that I'll use on my newsletter. I've already posted 2 cards yesterday and Monday. My class wanted masculine birthday cards so here's what we'll be making on Feb. 15.. 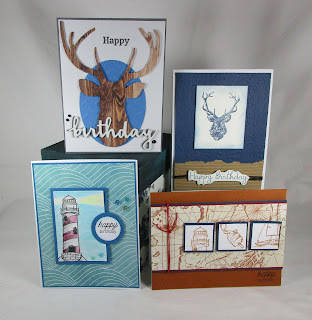 I haven't shared the Blue Elk or the Lighthouse yet. Probably will on Friday and Monday. I need to work on making a card for my FB Live video this morning so that will be my morning priority. 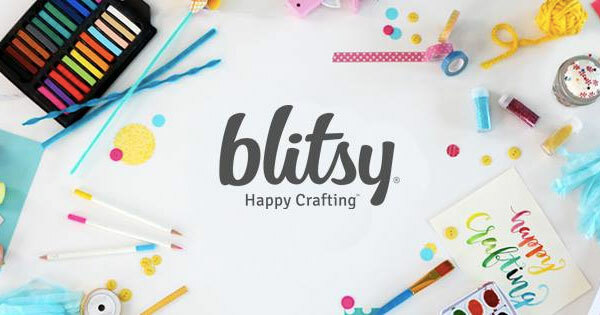 Now my post is ending and please head over to the Stamping Ground and check out the links to fellow crafters. Hopefully I'll be getting around to the desks about lunch time and after today. My goodness, Carol - you are one busy lady this week. Good looking cards - well done - nearly there now!! A great selection of male cards. Wishing you all the best with your class. I actually love doing male cards, and you’ve done them well too, Carol, have fun with your classes. 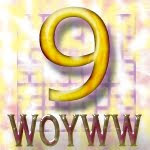 Well you really responded to the ask..great masculine cards! That Platinum is a bit of a beast isn’t it! I love that this dies are bright green...so visible, I think i’d Like all of mine to be coated like that!